When buying a property, the last thing you need (but the first thing you should consider) is the possibility of hidden costs. 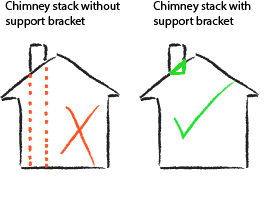 A mortgage valuation does not focus in detail on the condition of a property, so how do you know it is fit for purpose? 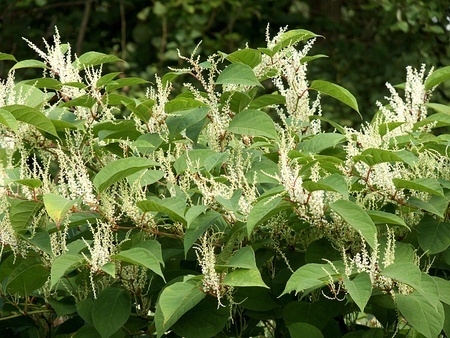 A surveyor will undertake a non-invasive investigation of the property and report on any aspects in need of repair or attention, including instances of damp and wood rot, building movement, and the presence of invasive plants such as Japanese Knotweed lurking in or around the garden. Knowing this will help you decide if the cost of the house and any potential repair work ties in with your budget. Hidden hazards, such as faulty electrics, asbestos or an improperly removed chimney breast, can pose a danger to you and your family. For instance, if a chimney stack is left unsupported, there is nothing to stop it collapsing. Hidden hazards can be expensive to rectify and disruptive to your lifestyle, and if left to cause further damage to the property will likely cost even more to repair. If not picked up before the purchase, the cost of repairs and maintenance may fall on you (no pun intended). However, if these hazards are picked up before purchase, you will be in a position to make a more informed decision on whether or not the property is for you. Which?, the consumer agency, estimates that commissioning a house survey could save homeowners thousands of pounds. Twenty-five percent of people who did not get a house survey had to spend more than £2,500 righting serious defects that a survey would have uncovered. For ten percent of people, the costs were more than £10,000! It could save you money now! Homeowners who did get a full property survey were able to negotiate an average of £2,000 off the property’s asking price. Buying a property is stressful. Investing in a survey will reduce at least part of the anxiety. Be confident that your new home is not a nightmare in disguise because a trained and audited professional has thoroughly examined every nook and cranny, followed up every suspect symptom, and assessed the work you will need to do to keep the place in good condition. National Energy Services Ltd has over 30 years’ experience in the energy efficiency, building and surveying industries and is the UK’s home for independent energy assessors, home inspectors, surveyors and low carbon professionals. Its sister company, Surveyors and Valuers Accreditation (SAVA), developed the Home Condition Survey to give homebuyers peace of mind and has been training and accrediting surveyors for over 10 years. Could your home contain asbestos?